Thank you so much to Workman Publishing Company for this valuable resource and amazing compilation. There is something for EVERY reader in this book! Scroll down to learn more, read a Q&A and see if he'll be stopping on his tour near YOU! The expected pillars are here, including Jane Austen and Toni Morrison, Virgil, Dante, Dickens and Tolstoy, Franz Kafka and Simone de Beauvoir—their works made fresh through the author’s animated essays. Established classics are joined by new and unexpected choices like Citizen and Friday Night Lights. A Visit from the Goon Squad and The Pillow Bookof Sei Shōnagon, The Day of the Jackal and The Man Who Mistook His Wife for a Hat. The result is a treasury of essential reading for expansive tastes. The book’s alphabetical listing by last name results in the serendipity of juxtaposition—Cormac McCarthy’s The Roadnext to Robert McCloskey’s Make Way for Ducklings, John le Carré next to Ursula K. Le Guin next to Harper Lee. Following each entry are rich endnotes that include publication dates and preferred editions, other books by the same author, related books to try, and listings of worthy adaptations, including movies and audiobooks. In total, more than six thousand titles by thirty-five hundred authors are recommended. A Miscellany of Special Lists at the end of the book offers the reader surprising entry points into the collection, such as “Books to Read in a Sitting,” including The Little Virtuesby Natalia Ginzburg and The Third Man by Graham Greene, and “Offbeat Escapes,” including Freya Stark’s The Valleys of the Assassins and Felice Benuzzi’s No Picnic on Mount Kenya. For the truly dedicated reader, “A Long Climb, but What a View”—a perfect way to describe those mountainous texts we long to scale, such as Proust’s In Search of Lost Time and Shelby Foote’s The Civil War. James Mustich began his career in bookselling at an independent book store in Briarcliff Manor, New York, in the early 1980s. 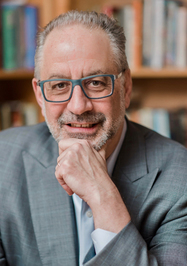 In 1986, he co-founded the acclaimed book catalog, A Common Reader, and was for two decades its guiding force. He subsequently has worked as an editorial and product development executive in the publishing industry. He lives with his wife, Margot Greenbaum Mustich, in Connecticut. 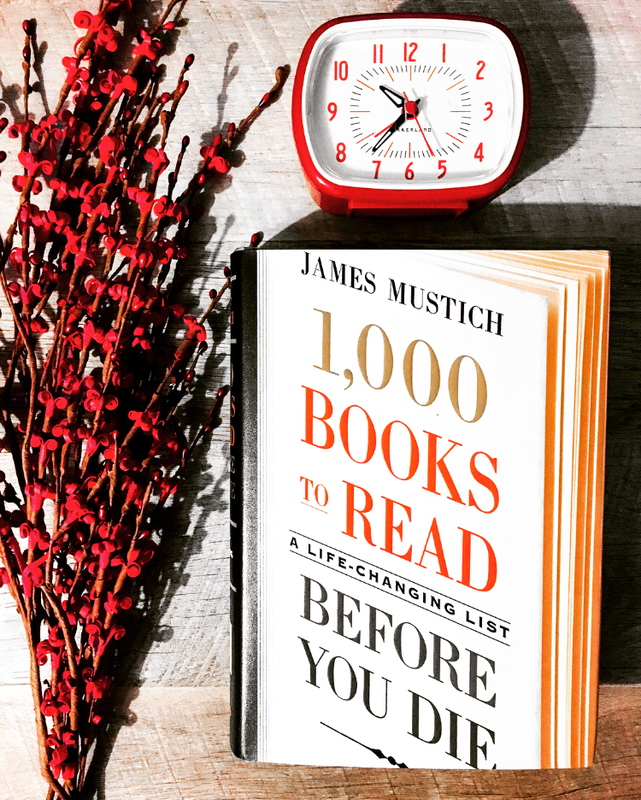 Can you share with us why you decided to write 1,000 Books to Read Before You Die? I've been an avid reader since I was a kid, and most of my adult life has been spent as a bookseller. As a result, the search for what to read next - whether for myself as a reader or on behalf of others as a bookseller - has never been far from my mind. In 1986, I co-founded a mail-order book catalog called A Common Reader, and spent the next two decades running that venture, which, luckily for me, consisted largely of writing about books old and new, of every subject and style. The late Peter Workman, founder of Workman Publishing and to me both mentor and friend, took an abiding interest in A Common Reader. After Workman had success with Patricia Schultz's marvelous 1,000 Place to See Before You Die, Peter conceived a series of similar volumes on other themes, and he talked to me about one focused on our shared personal and professional passion. Since it was a project that brought together all the things I loved - reading, writing, the conversation with other book lovers that animates our reading lives - I singed up to deliver it. That was fourteen years ago! How does one start writing a book about 1,000 books? Procrastination, next to reflection, being a writer's most constant companion, I spent months - was it years? - making lists of thousands of titles and arranging and rearranging them according to various frameworks. Of course, any exercise in curation provokes questions of discernment, and even philosophy, which can easily lead to befuddlement; in the case of books, since they are carriers of such varied knowledge in themselves, it can be paralyzing. A book about 1,000 books could take so many different shapes: It could be a canon of classics; it could be a history of human thought and a tour of its significant disciplines; it could be a celebration of storytelling and its influences; it could be a record of popular delights (or even delusions). But the crux of the difficulty was a less complicated truth: Readers read in so many different ways that any one standard of measure is inadequate. Keeping such diversity of appetite in mind, and hoping to have something to satisfy every kind of reading yen, I wanted to make 1,000 Books to Read Before You Die expansive in its tastes, encompassing revered classics and commercial favorites, flights of escapist entertainment and enlightening works of erudition. And since the title invoked a lifetime, there had to be room for books for children and adolescents. What criteria could I apply to accommodate such a menagerie - to give plausibility to the idea that Where The Wild Things Are belongs in the same collection as In Search of Lost Time, that Aeneas and Sherlock Holmes could be companions, that a persuasive collection could begin, in chronological terms, with THe Epic of Gilgamesh, written over 4,000 years ago, and wend it way to Marilynne Robinson's Gilead, published in 2004, and beyond? I came upon the clue i needed in a passage written by the critic Edmund Wilson, describing "the miscellaneous learning of the bookstore, unorganized by any larger purpose, the undisciplined undirected curiosity of the indolent lover of reading," There, I knew instinctively, was a workable conceit: What if I had a bookstore that could hold only 1,000 volumes, and i wanted to ensure it held not only books for all time but also books for the moment, books to be savored over several months or devoured in a night? A shop where any reading inclination - be it for thrillers or theology, or theological thrillers - might find reward. In the end, I was back in my favorite haunt, a browser's version of paradise. That end, of course, was only the beginning - I still had a lot of writing to do! You've been working on this book for fourteen years, how did it change over time? A thousand books felt for years like far too many to get my head around, but now it seems too few by several multiples. 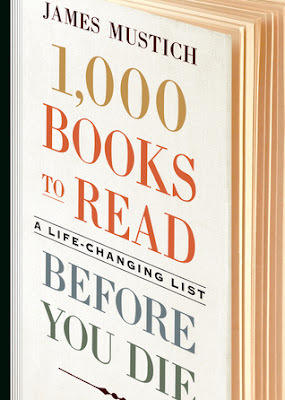 So let me say what already should be obvious: 1,000 Books to Read Before You Die is neither comprehensive nor authoritative, even if a good number of the titles assembled here would be on most lists of essential reading. It is meant to be an invitation to a conversation - even a merry argument - about the books and authors that are missing as well as the books and authors included, because the question of what to read next is the best prelude to even more important ones, like who to be, and how to live. It's that sense of the project as a conversation rather than an inert compendium that developed over time, shaped by hundred of encounters I've had in the course of working on it. How did you determine which books made the cut? Rigorous, serendipitous, haphazard, careful, evangelical, dutiful, responsible, recklessly personal - all of these at once. A thousand titles provided a broad enough scope that I was able to apply one of those adjectives to my selection process on any given day without too much guilt. There were, of course, a core set of questions at the back of my mind that every choice anchored to in one way or another. What classics were compelling enough to earn a spot? Which kids' books are so timeless they made the grade? What currents of thought retained their currency? Which life stories were larger than their protagonists' life spans? Not least, what authors did I love so much that they might be ushered in without their credentials being subject to too much scrutiny? How did you start recommending books to people? While working at Books 'n' Things in Briarcliff Manor in the early 1980s, I learned to listen to customers and, eventually, to make useful, interesting, and potentially life-changing recommendations. The last hyphenated adjective may sound grandiose, but the truth is good booksellers are modest only in salary (my starting pay at the store in question, I recall, was something like $2.70 an hour, all of it put at risk by the generous employee discount on offer). At heart, booksellers are missionaries who seek "to spread good books about, to sow them on fertile minds, to propagate understanding and a carefulness of life and beauty," as Roger Mifflin, the protagonist of Christopher Morley's novel The Haunted Bookshop, puts it. If you could go back in time and meet any author included in a book, who would you choose to meet and why? Madame Germaine de Stael. Born in 1766, she died in 1817. She was a towering figure of her tumultuous age, a brilliant novelist (author of Corinne, or Italy, which I have among by 1,000) and a penetrating thinker on politics and society. A French writer of the time succinctly captured her influence by saying there were three European powers vying against Napoleon: "England, Russi, and Madame de Stael." She is mentioned by Tolstoy in War and Peace, and much of his consideration in that book of the cumulative influence of individual human wills upon history seems informed by her earlier expression of the idea. The biographer Richard Holmes put it best when he wrote, "... she was a truly extraordinary woman who courageously created a new role in society, one even larger than that of her irrepressible heroine Corinne. This role was that of the independent, freelance, female intellectual in Europe." Makes you want to know more, right? 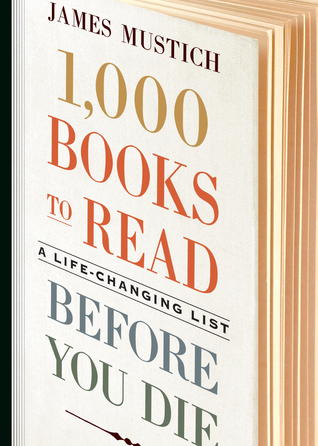 How many authors from 1,000 Books to Read Before You Die have you met, and did any of them tell you their favorite books during your meeting? I've been fortunate enough to meet a number of them over the years. I've met Russell Baker, Robert K. Massie, Normal Mailer, Joseph Heller, Dava Sobel, Greil Marcus, Jean Strouse, Pete Hamill, and David Halberstam. And, when I was working in that bookstore in Briarcliff, I met John Cheever. I've also interviewed a good number either in person or on the telephone, including Philip Pullman, Azar Nafisi, Javier Marias, Gay Talese, Robert Caro, Billy Collins, Nicholson Baker, Neal Stephenson, Richard Price, Stewart Brand, John Grisham, James Patterson, Salman Rushdie, Stacy Schiff, Siddhartha Mukherjee, Jeffrey Eugenides, Elmore Leonard, Chimamanda Ngozi Adichie, Bob Woodward, Richard Holmes, and Philip Roth. Most of the time, with all of the above, we talked about their books. But two memories do stick out: Richard K. Massie, author of Nicholas and Alexandra, recommended Shelby Foote's The Civil War, called it "the American Iliad," a wonderful description I use in the book. And when he learned about the project I had embarked on, Pete Hamill sent me a list of his favorites that included the stories of Isaac Babel, the notebooks of Cesare Pavese, and Itali Calvino's Invisible Cities.